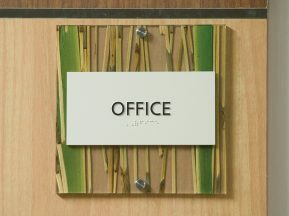 assist them with managing and facilitating the re-branding and department relocation. 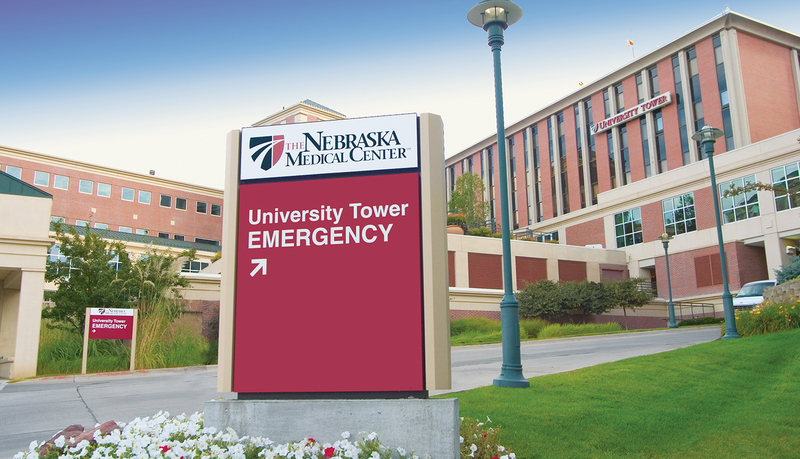 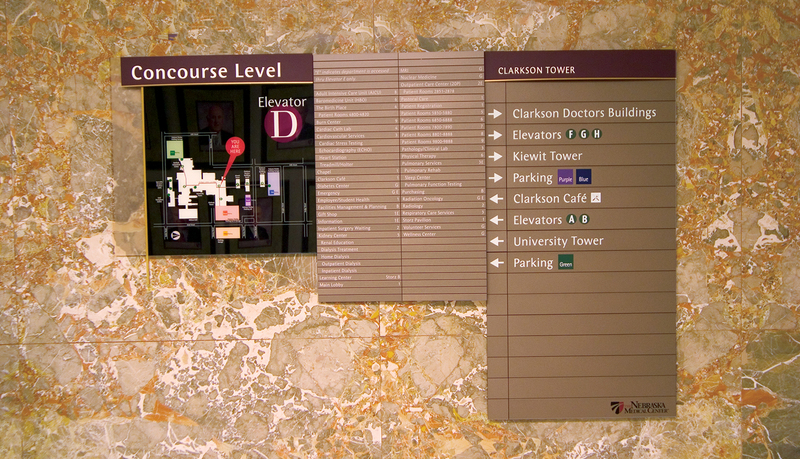 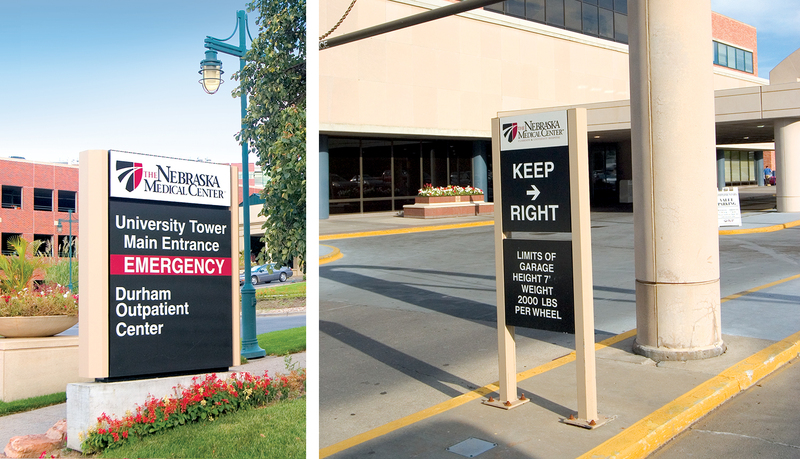 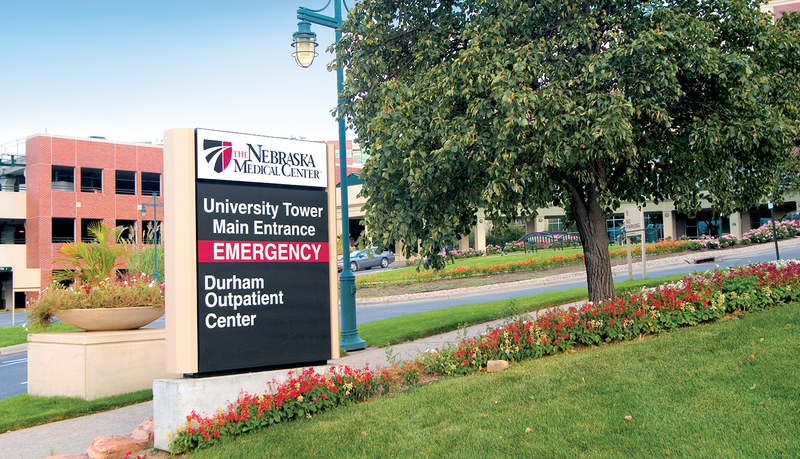 The Nebraska Medical Center selected ASI, a trusted wayfinding and signage partner, to recommend and deliver a solution. 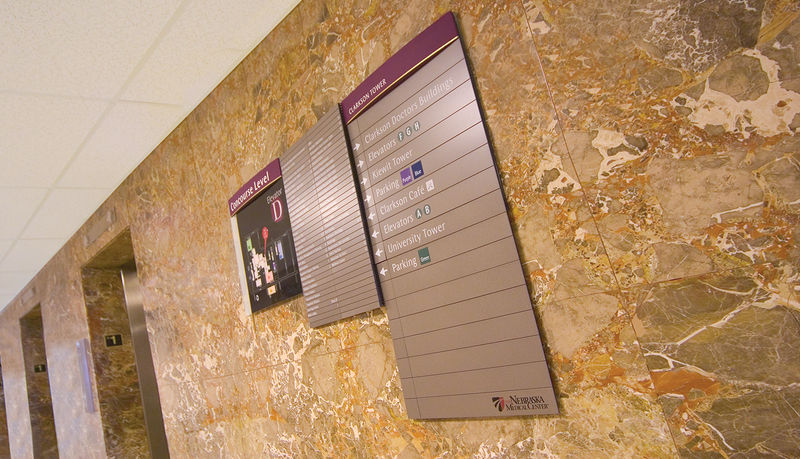 Because patients and staff were familiar with the current location of the major departments, a new wayfinding solution and flexible messaging system was needed to facilitate the campus-wide departmental reorganization. 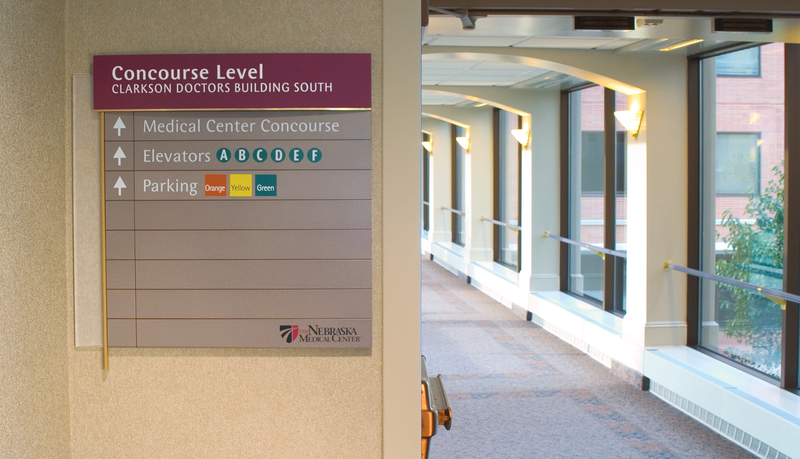 ASI utilized its patented SignPlan® program to create an effective wayfinding solution to guide patients, visitors and staff throughout the facility and to departments which had been moved during the reorganization. 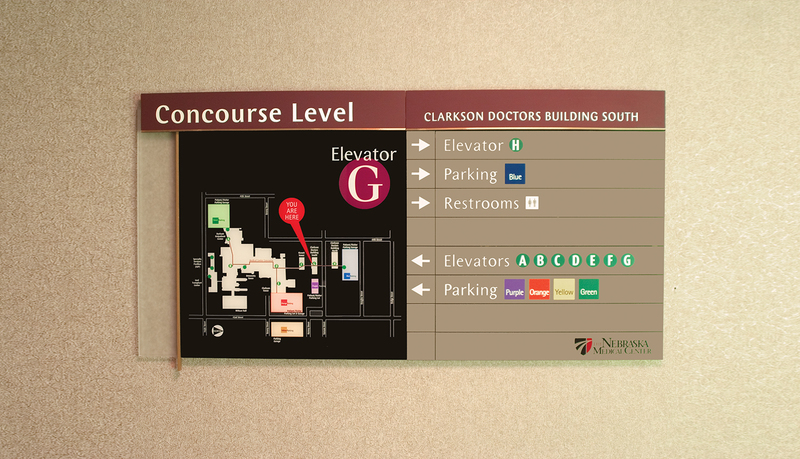 Through a process-driven approach, demographic requirements, regulatory guidelines, traffic flows and key navigational decision points within the interior space and around the center’s campus were analyzed to identify the number and locations of each sign. 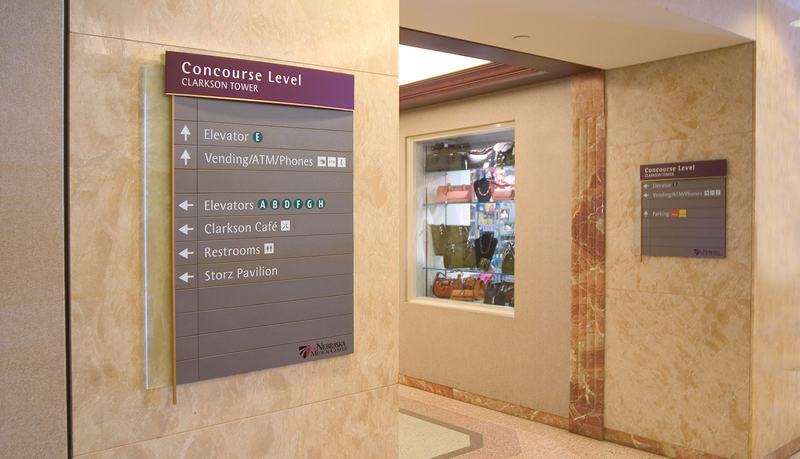 The analysis, in its final deliverable, SignPlan, served as a roadmap guiding the development and ensuing streamlined production and integration of the complete signage and wayfinding system. 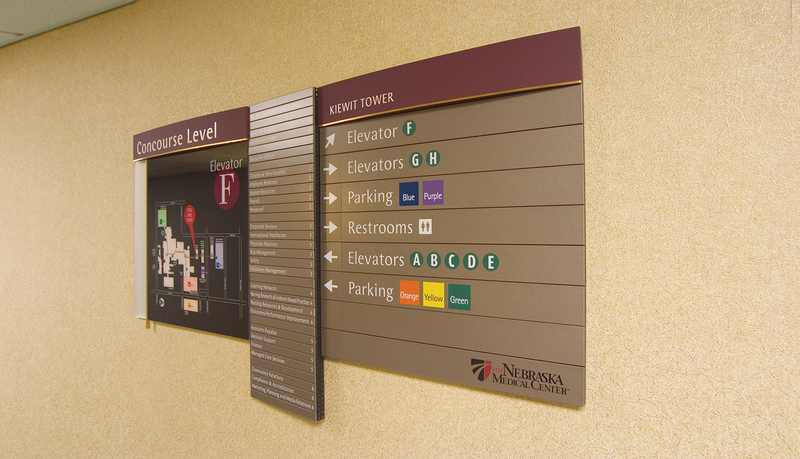 The new wayfinding solution created a single, central corridor between each building, which helped reduce patient, visitor and staff confusion as they moved from building to building. 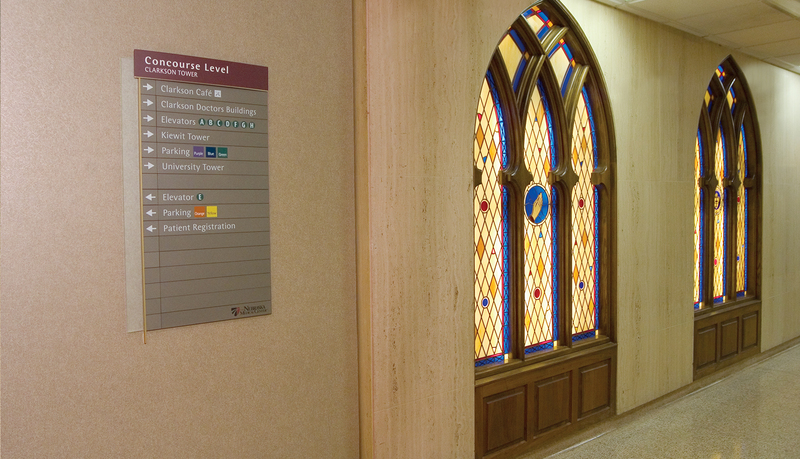 The corridor solution also helped create a feeling of unity across a multi-building campus. 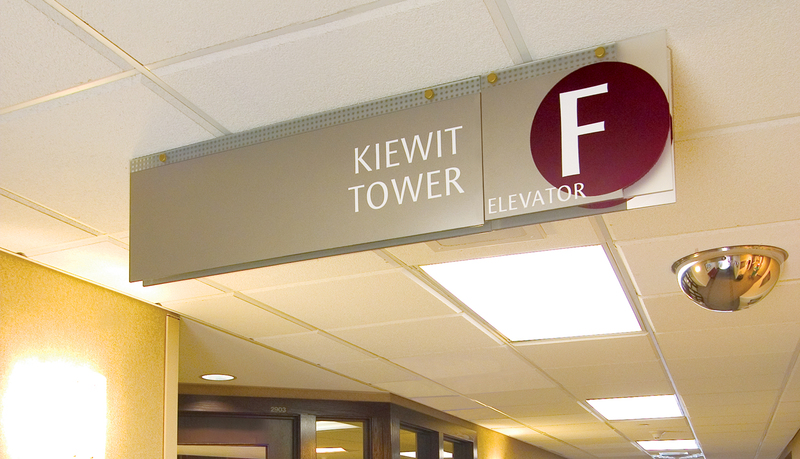 ASI’s implemented its Infinity™ modular sign system as the prominent interior solution due to the modular, interchangeable design. 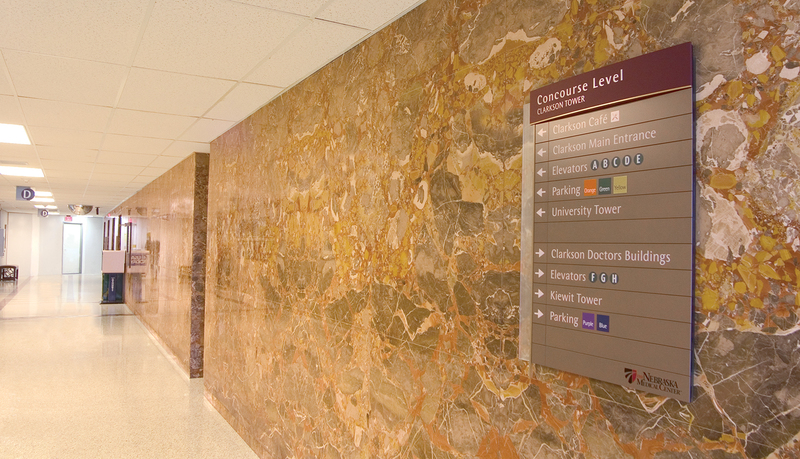 The system’s modular construction allows hospital staff to easily and cost-effectively update individual message panels, which helps facilitate future departmental moves. 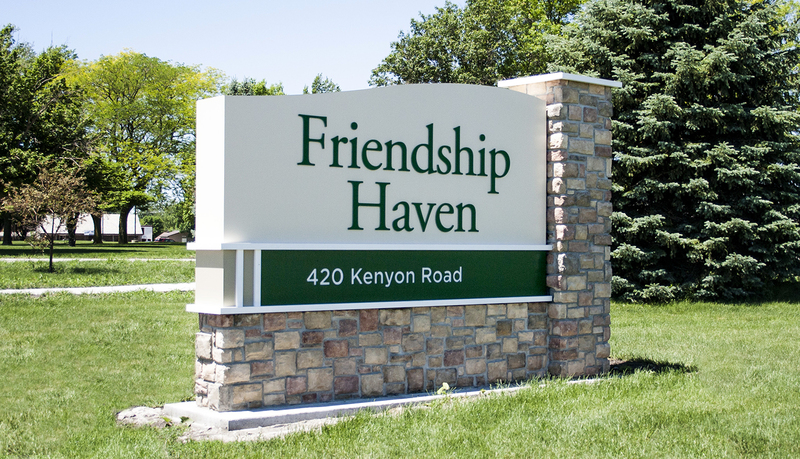 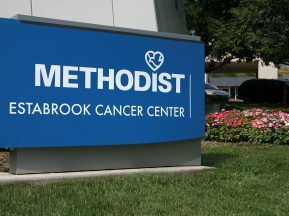 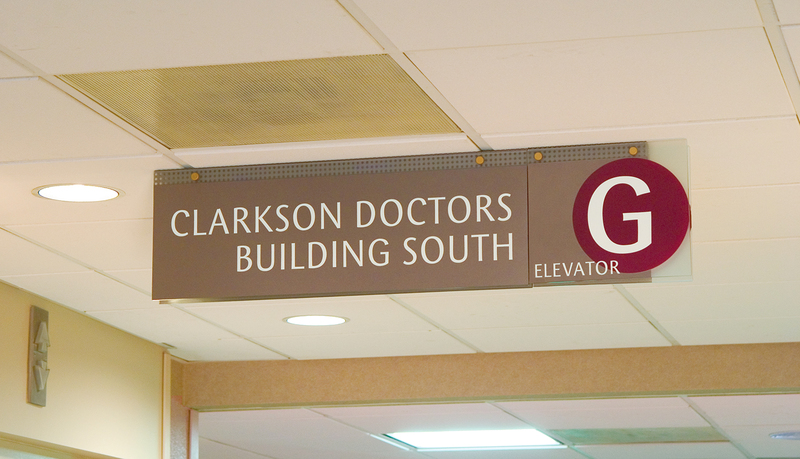 Frosted-blue acrylic edge accents and curved-face header accents featuring the hospital’s brand and logo were added to each sign. 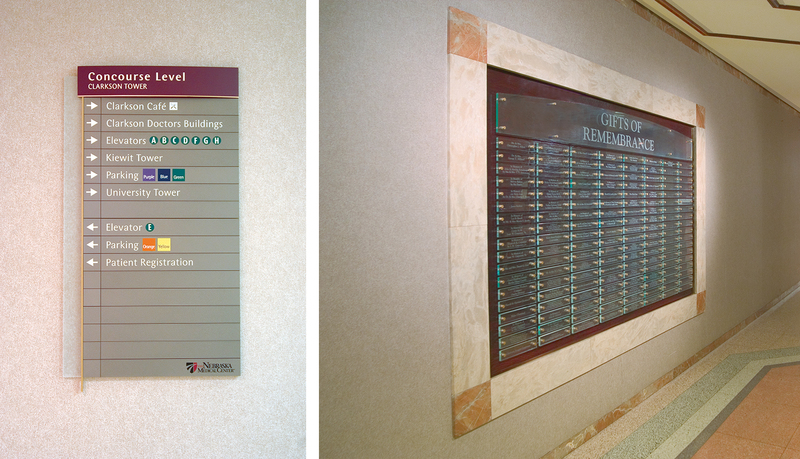 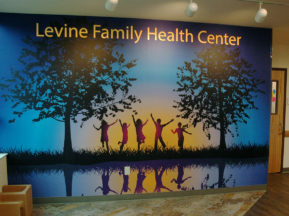 ASI designed, manufactured and installed the complete signage solution to enhance the center’s ever-changing environment.